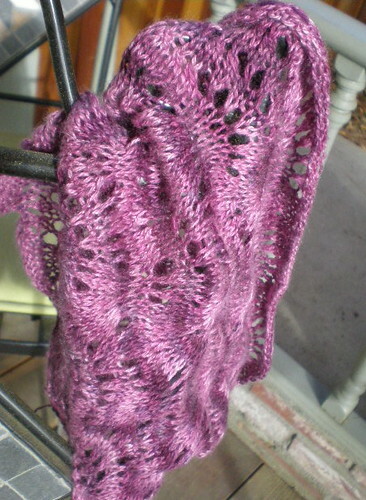 This entry was posted in knitting and tagged cowl. Bookmark the permalink. It’s beautiful! Looks so luxuriously soft and cozy. Very lovely – I love the colour! My vote: cast on one for yourself on December 26! The coloring is amazing! Very pretty lace pattern for the cashmere too. That’s one lucky gift recipient.